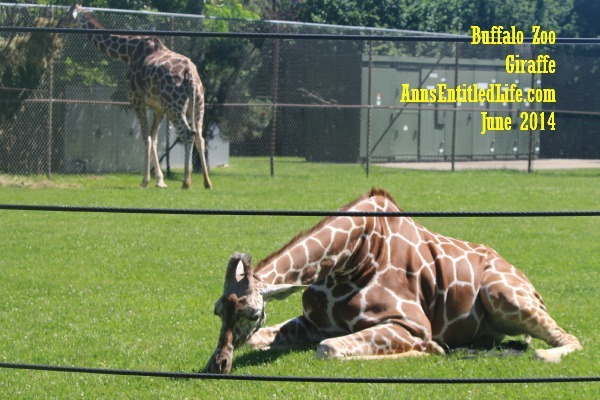 Founded in 1875, the Buffalo Zoo is the third oldest zoo in the United States. 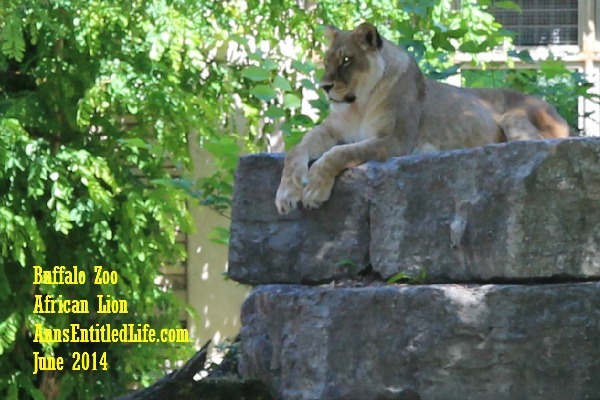 Open year round, the Buffalo Zoo welcomes approximately 400,000 visitors each calendar year. 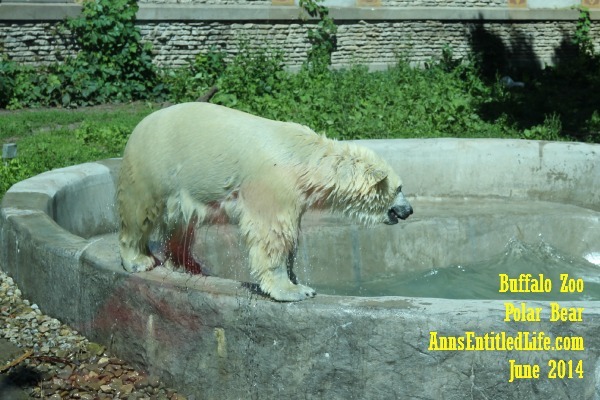 Located on 23.5 acres in Buffalo’s Delaware Park, the Zoo’s emphasis today is on increasing awareness of the importance of conservation to the benefit of both animals and humans. 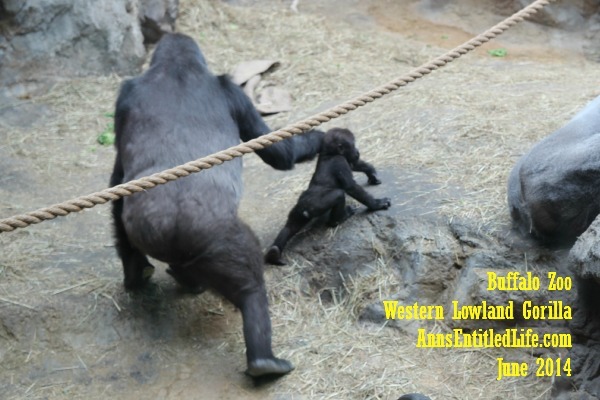 Our first stop in the Buffalo Zoo (after the bug house… ewww) was at the Western Lowland Gorilla Habitat. … but quickly got off to go exploring on her own. She certainly is inquisitive …. Dad seemed content to let Mom be the bad-guy. 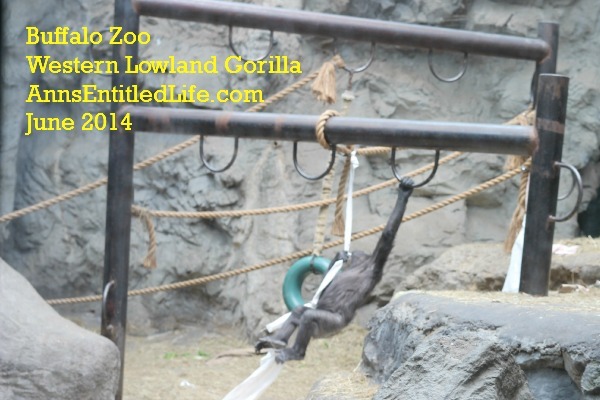 One of the other gorillas was having a fine time playing on the tires and bars. 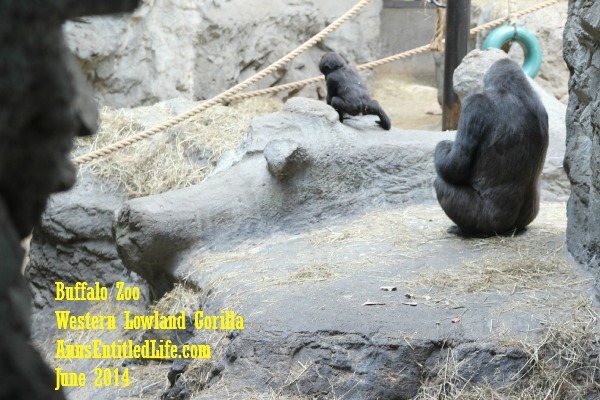 We left the gorilla habitat and wandered around a bit after that. 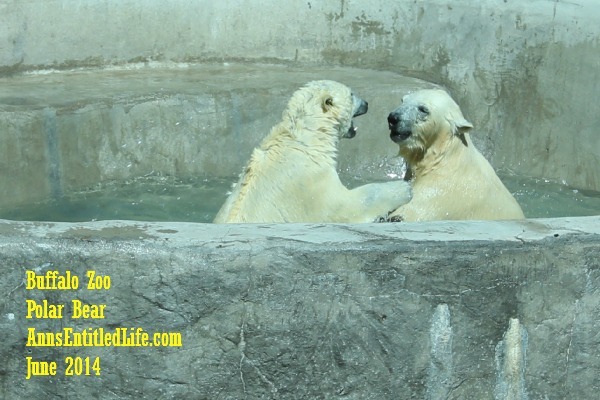 The Buffalo Zoo’s Arctic Edge is being built for the Polar Bears, so they are sharing outdoor space with the Tigers – but not at the same time!! 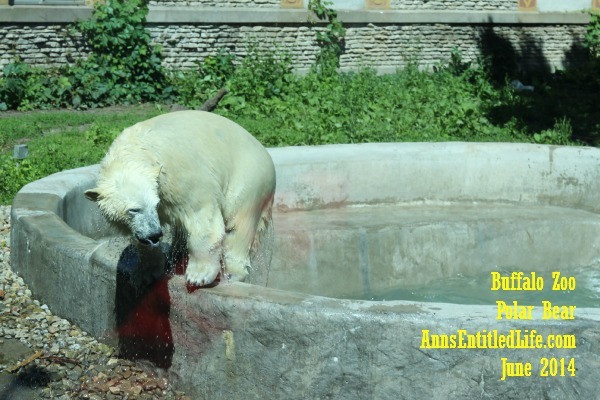 As luck would have it, when we exited the Gorilla Habitat there was a water war of sorts going on in the pool. Not sure which bear won. There was some canon-ball activity after the pool fight! 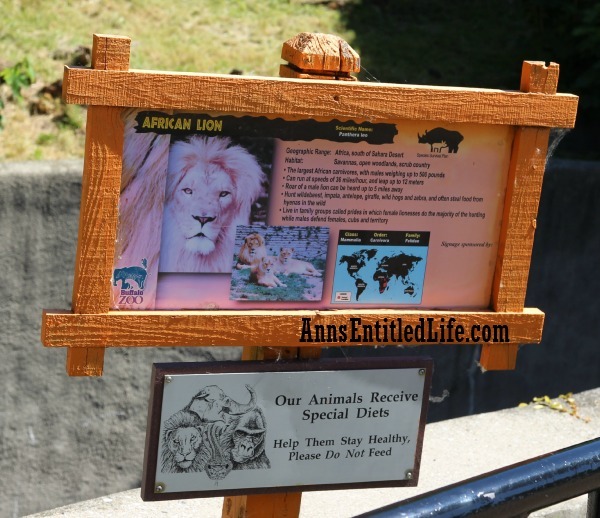 In the next enclosure, are the African Lions. He is surveying his kingdom! She looks asleep in this photograph but just a few minutes before I took the picture she was awake and swatting at something that buzzed bye! 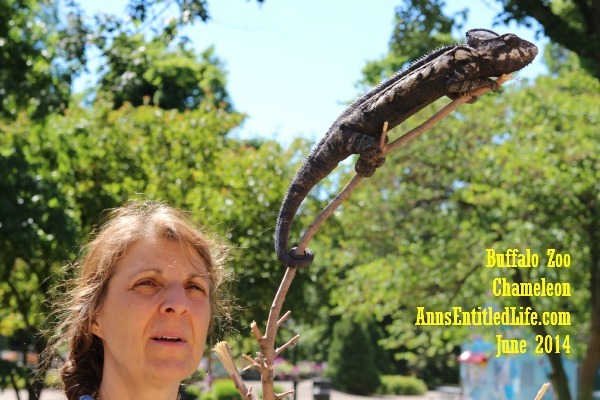 This lady had a chameleon on a stick. That chameleon really did blend in! She was telling us that the reptile house at the Buffalo Zoo was designed by Marlin Perkins while he was the curator of the Buffalo Zoo. 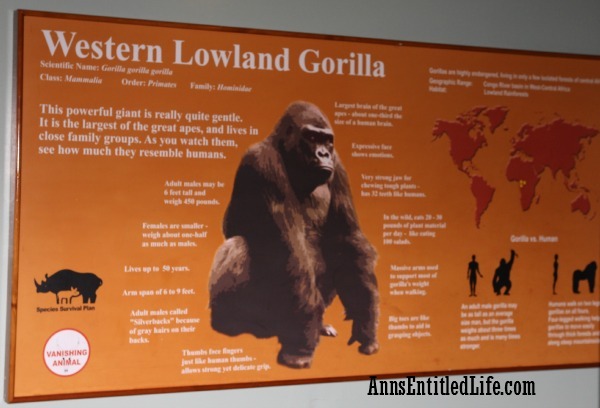 I must admit, I never knew he was the Zoo’s curator for a time – the jokes I make about Marlin Perkins being right at home in the Buffalo area were due to Wild Kingdom fame. How ironic that he really was at home here! 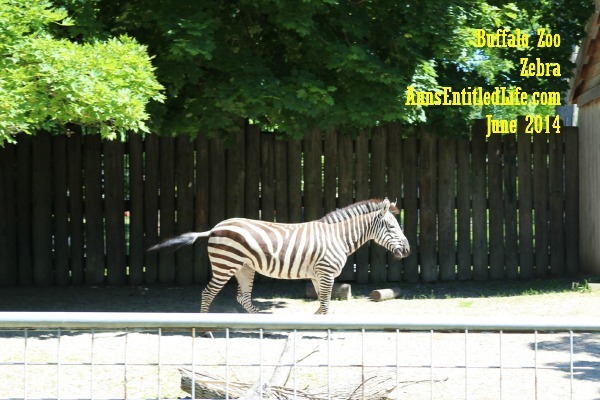 There were a buncha Zebras wandering around their enclosure. I only saw two Bison. One was eating, the other was shedding. I am surprised those trees have any leaves left on them the way that Giraffe (in the background) was attacking them! The other one looked like s/he was looking for bugs in the grass. One of the animals we didn’t get to see was the rhino. She had a good excuse though, She had just had a baby! My camera was giving me trouble starting with the Giraffes. I missed the otters, the elephants, and none of my photographs of the other animals that I took from behind the glass or fencing came out well enough to share. 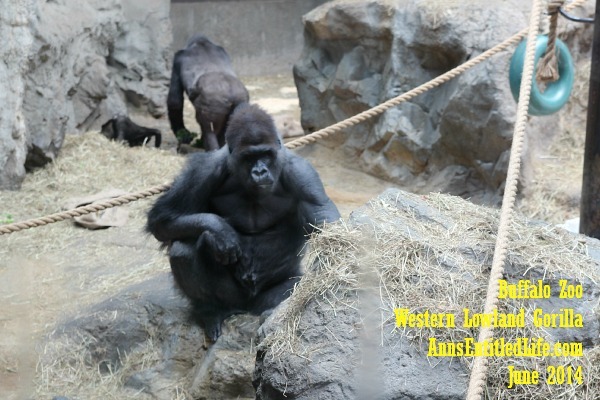 Hubby and I spent about 90 minutes in the zoo. I think you would need about 3 hours to see it all if you were not a frequent visitor. We skipped quite a bit. 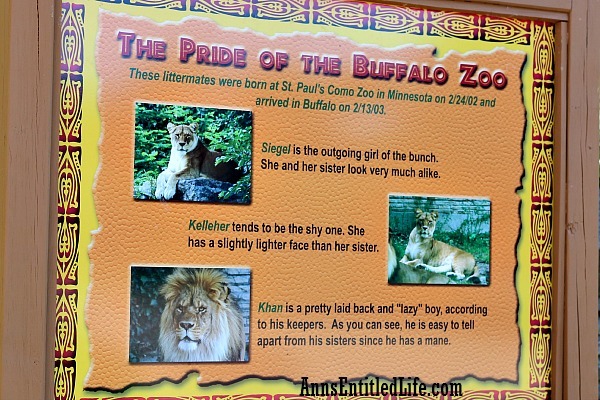 The Buffalo Zoo is much reduced in animals from when I was a kid, heck from when Sonny-boy was a kid! 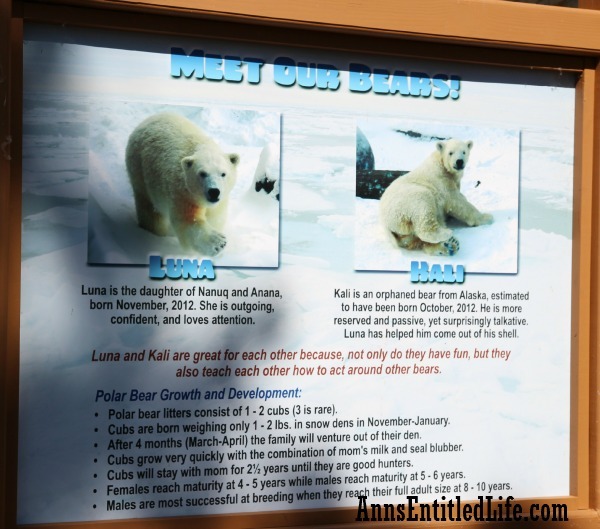 This is in conjunction with their learning and breeding programs. 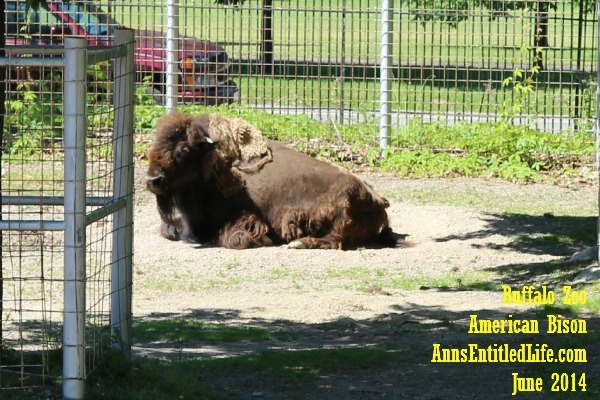 I hadn’t been to the Buffalo Zoo in close to 15 years, and was surprised that they took away, what used to be, a very good flow from one exhibit to the next by blocking off areas, and closing some of the houses. 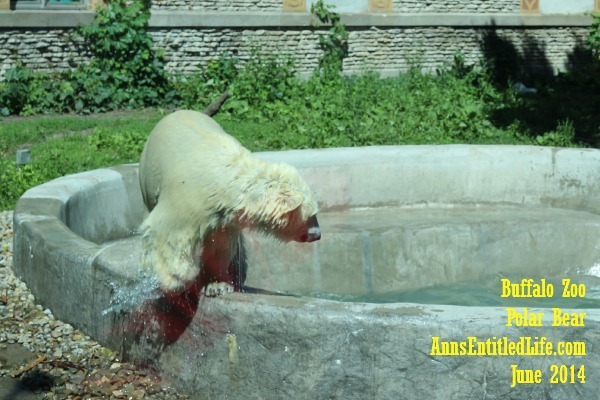 Also there is a lot of renovation going on, chiefly with the bears. Not only is the Arctic Edge being constructed, but the old bear caves are blocked off. This means you can’t flow from the Giraffe house to the exit cleanly. Just something to be aware of if you have not been there in a while. 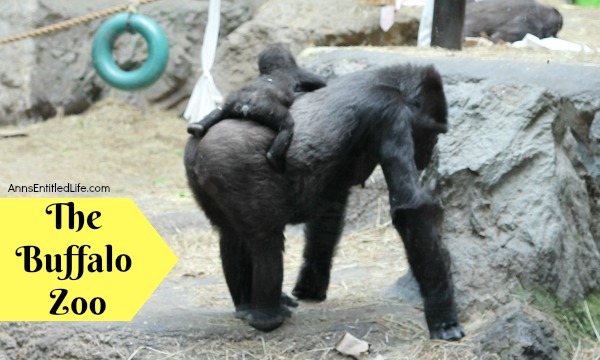 Admission is $10.50 for adults, $7.50-$8.50 for students (age dependent), and you can apply your admission to costs for up to 30 days to the cost of a yearly pass. 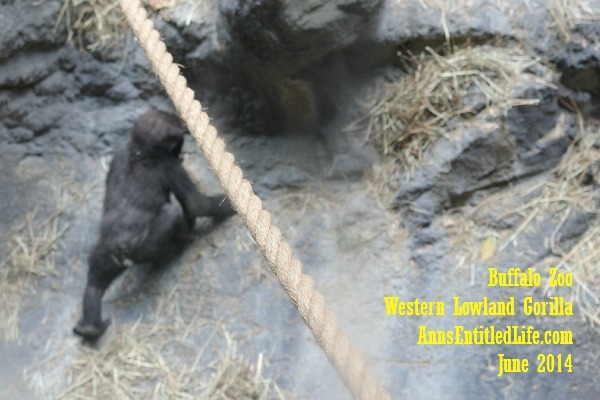 The Buffalo Zoo also has a reciprocal list to various other Zoos and Aquariums in the United States and Canada. 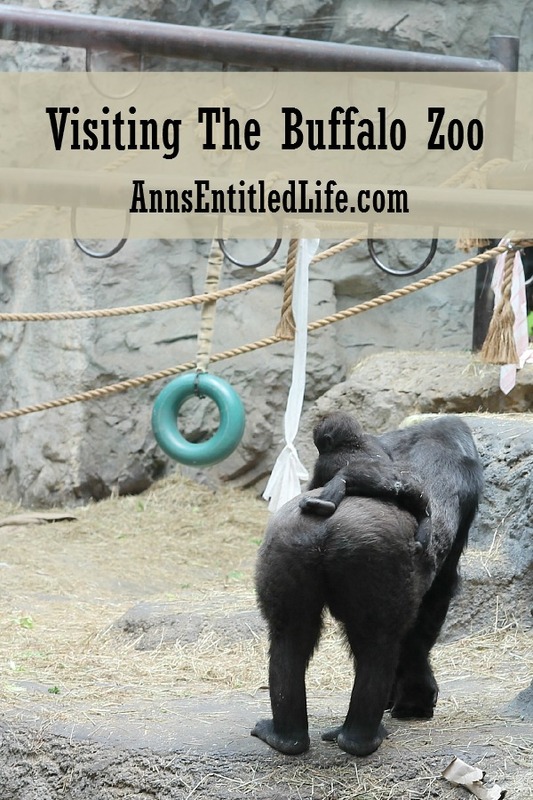 • For more New York State on Ann’s Entitled Life, click here. 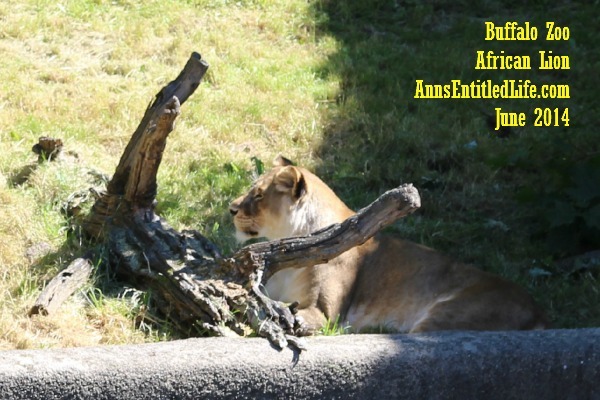 • For more Travel on Ann’s Entitled Life, click here.